Expert wine market insight and unexpected wine pairing advice with tricky dishes in today's episode with Christopher Beros the Asia Director of California Wine Institute. 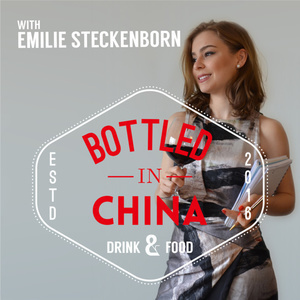 In this podcast, we discuss the rise of Californian wines in China and we explore the multitude of AVA's that make California one of the most diverse wine regions in the world. Christopher also shares with us his insider thoughts on up and coming varietals and interesting wine regions you'll want to check out next time you travel to SF or LA. Get your insider tips and beyond in today’s episode! Enjoy. In addition to today’s episode, I’d like to express our collective sense of loss and tragedy through the recent fires in California. The global community stands with Californian families, business, and wineries affected by the fires. It's worth mentioning that even with these fires, most wineries have already harvested their 2017 vintage. A media report from the California Wine Institute released on 10.20.2017 states that most tasting rooms have reopened for business.